Vehicle suspension design many time's leads in a compromise between the flagging demands of riding comfort and road holding. To overcome this challenge new technologies and smart materials need to be installed in vehicle dynamic systems to improve the suspension performance. This paper describes firstly the smart material (magneto rheological fluid) which can change the viscosity due to the magnetic field applied on it, this fluid is suitable for making shock absorbers which can react on different vibrations in few time less than ten milliseconds. To control the damping force of MR damper, two controllers have been designed and built in Simulink: a fuzzy logic controller and damper controller to track the desired damping force. To perform the simulation a 7 degree of freedom for vehicle dynamic model and road model was designed in CarSim software; a co-simulation model of vehicle and controller was constructed in Simulink. Finally, the comparative simulation experiments of passive suspension and semi-active suspension with magneto rheological damper was performed. The results demonstrate that, the ride comfort has been improved 18.1% compared to passive suspension and the road handling evaluation indicators were improved 10.42%. In summary, magneto rheological damper can effectively improve vehicle ride comfort and road handling. X.-m. Dong, M. Yu, C.-r. Liao, and W.-m. Chen, 2010. Comparative research on semi-active control strategies for magneto-rheological suspension, Nonlinear dynamics, vol. 59, pp. 433-453. Chen Bing, Zeng Ming, and Yin Zhongjun, 2008. Design and Simulation of Fuzzy Control Strategy for Vehicle Semi-active Suspension, Journal of System Simulation, vol. 20, pp. 420-424. Yan Wenjun, Dong Dan, Wang Weirui, Wu Shen, and Liu Zhe,2011 "Fuzzy Control Strategy for Nonlinear Semi-Active Suspension Systems," Control Engineering, vol. 18, pp. 941-946. K. Sosthene, M. Josee, and X. Hui, 2018. "Fuzzy logic controller for semi active suspension based on magneto-rheological damper." International Journal of Automotive Engineering and Technologies, vol. 7, pp. 38-47, 2018. Y. Shen, M. Golnaraghi, and G. Heppler, 2005. Analytical and experimental study of the response of a suspension system with a magnetorheological damper, Journal of intelligent material systems and structures, vol. 16, pp. 135-147. C. C. De Wit and P. Tsiotras, 1999. Dynamic tire friction models for vehicle traction control. in Decision and Control, 1999. Proceedings of the 38th IEEE Conference on, 1999, pp. 3746-3751. J. D. Setiawan, M. Safarudin, and A. Singh, 2009. Modeling, simulation and validation of 14 DOF full vehicle model, in Instrumentation, Communications, Information Technology, and Biomedical Engineering (ICICI-BME), International Conference on, 2009, pp. 1-6. T. Kinjawadekar, N. Dixit, G. J. Heydinger, D. A. Guenther, and M. K. Salaani, 2009. Vehicle dynamics modeling and validation of the 2003 Ford Expedition with ESC using CarSim, SAE Technical Paper 0148-7191. D. Wang and W. H. Liao, 2011. Magnetorheological fluid dampers: a review of parametric modelling, Smart materials and structures, vol. 20, p. 023001. ISNAD Sosthene, KAZIMA , Josee, MUSABYIMANA , Emmanuel, KARANGWA . "Vehicle ride comfort optimization based on Magneto-rheological damper". 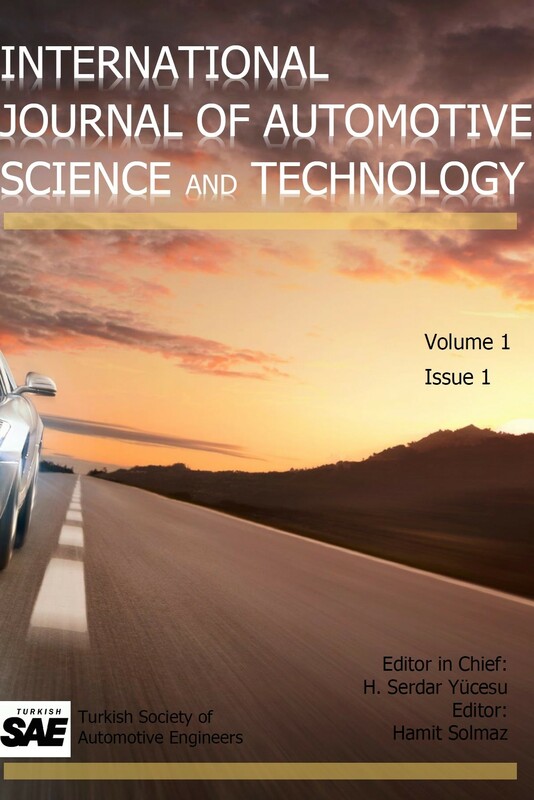 International Journal of Automotive Science And Technology 2 / 4 (December 2019): 1-8.